Yet another fantastic One Take from TheSmokingTire! 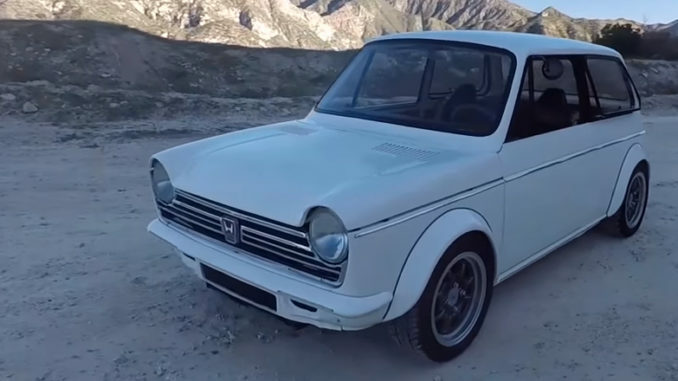 This 1972 Honda N600 is one of the coolest cars we’ve ever seen. It’s powered by a Honda VFR800 motorcycle engine, has a sequential gearbox, Miata suspension and brakes, is RWD, and boasts a 12,000 rpm redline to top it off. Never have we wanted a car so badly, Matt Farah said even he offered to buy the car on the spot.